Renault has two Moroccan plants, including one (shown) near Tangiers. 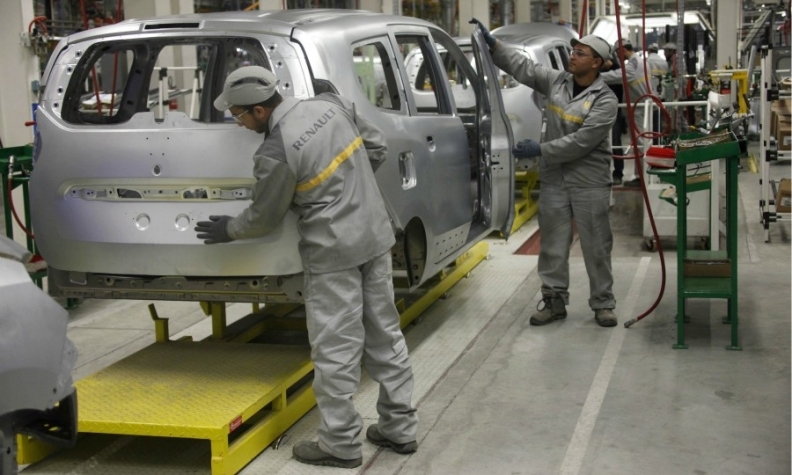 RABAT -- Morocco has signed deals for 26 auto industry projects, including several with Renault and PSA Group, as it seeks to build its position as an international hub for the sector. The deals include six agreements with Renault to expand an "industry ecosystem" allowing the automaker to increase local sourcing of car components to 55 percent, according to a government statement. Another 13 of the new projects are planned as part of a manufacturing hub linked to a PSA’s factory under construction in Kenitra, north of the capital, Rabat. The plant is due to open in 2019 and initially produce 90,000 vehicles a year. The projects announced on Monday are worth a total of 1.23 billion euros ($1.45 billion). They include companies from France, Spain, Italy, China, South Korea, Japan and the U.S., and are expected to create more than 11,500 jobs, the statement said. On Saturday, officials announced a memorandum of understanding with Chinese automaker BYD to build an electric car plant near Tangier that is expected to create 2,500 jobs.